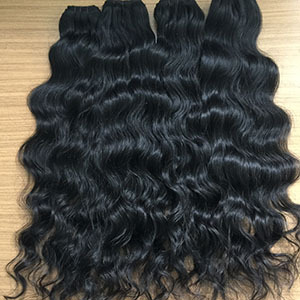 We offer highest quality raw virgin human hair from India and other southeast Asian countries. Our mission is to provide you with hair extensions you will love. We are very selective and you will only receive hair from us which meet 100% our standards. Each bundle of our hair is of the highest quality and comes from a single donor, which ensures consistency in texture. Also, the hair is 100% cuticle aligned and intact. This provides a smooth texture and allows the hair to last longer and style more naturally.